Learn the basics or develop your skills in crocheting or knitting. Please bring your own supplies. 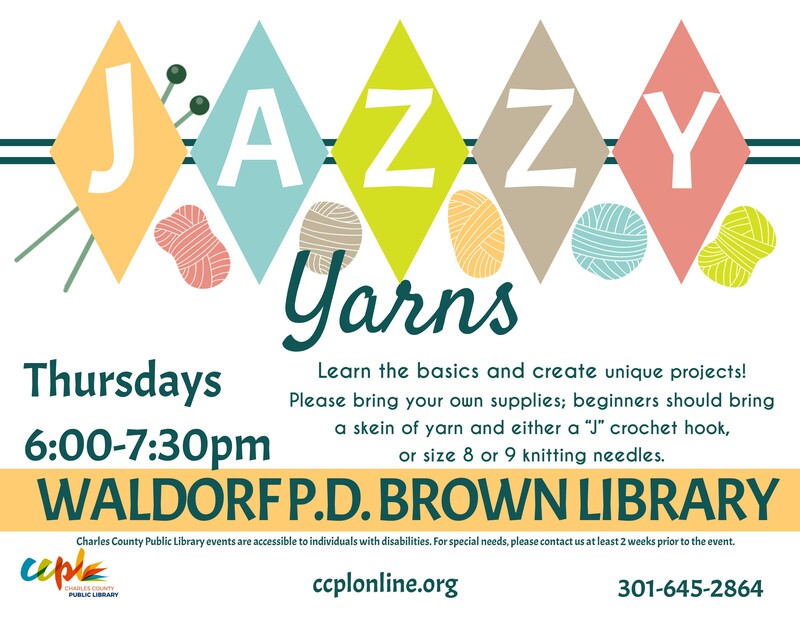 For beginners, please bring a skein of yarn and a "J" crochet hook or size 8 or 9 knitting needles.